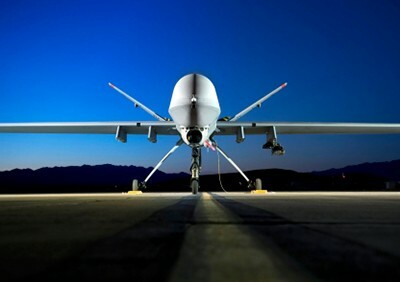 Embry-Riddle’s Master of Science in Unmanned Systems is a non-engineering degree that focuses on this emerging industry by addressing topics including policy design, ethics, and systems management. Students will gain knowledge in many areas that contribute to the successful operation of missions supported by unmanned systems along a spectrum of autonomy levels — from remote-controlled to human-supervised to fully autonomous. Embry-Riddle has been a pioneering institution in the field of unmanned and robotics education, and its Master of Science in Unmanned Systems degree provides students with an education focused on the application, development, and management of unmanned systems, policies and regulations, and related technology necessary to support the growing and dynamic needs of the industry. This program supports the growth, innovative development, and effective use of unmanned system technology across the respective domains (air, space, ground, and maritime) to address major challenges within the industry, including interoperability, autonomy, airspace integration, communications, education and training, propulsion and power, teaming, and regulation. ERAU provides an interactive learning environment to acquire and apply knowledge, work in independent and team settings, communicate across a geographically and experientially diverse population, and assume leadership roles, which represent the fundamental skills necessary to establish or advance a successful career in today’s competitive and collaborative working environment. According to a study by the Association for Unmanned Vehicle Systems International, more than 100,000 unmanned aerial systems jobs are projected by 2025. Degree holders work in a number of industries including military, government, energy, transportation, telecommunications and even entertainment. The M.S. in Unmanned Systems degree program at ERAU’s Worldwide & Online Campus examines the application, development, and management of unmanned systems. Designed for anyone from recent undergraduates to experienced professionals, this master’s degree program will complement a student’s existing professional interests or can evolve into an entirely new field of expertise. As part of the ERAU family, Worldwide & Online Campus students learn from distinguished faculty members whose professional experience complements their academic backgrounds. Degree concentrations include: unmanned aerospace system; aeronautics and design; human factors; space systems; safety/emergency response; operations; education; aviation/aerospace management; and aviation/aerospace research. Core unmanned systems coursework covers topics such as: the application of unmanned systems; robotics and controls; autonomy and automation; power, propulsion, and maneuvering; and other courses focused on the technologies and systems that provide economic, research, and productivity gains across a multitude of industries and operational environments, including air, space, surface, and maritime domains. Advanced knowledge in these specialized areas will give graduates an edge when competing for jobs in the unmanned industry. With ERAU’s online educational opportunities and over 130 global locations, students have the flexibility to learn at a campus near them or even in their own home. Unmanned systems range from small unmanned aircraft systems (UAS) used to explore volcanoes and other dangerous environments to robotic rovers operating on distant planetary bodies, all with the common goal of ensuring safe, efficient, and effective operations. The Master of Science in Unmanned Systems (MSUS) degree provides students with an education focused on the application, development, and management of unmanned systems, policies and regulations, and related technology necessary to support the growing and dynamic needs of the industry. The MSUS provides an interactive learning environment to acquire and apply knowledge, work in independent and team settings, communicate across a geographically and experientially diverse population, and assume leadership roles, which represent the fundamental skills necessary to establish or advance a successful career in today’s competitive and collaborative working environment. Students declaring the sUAS Operation Concentration or registering for courses within it must be U.S. citizens or permanent residents and must be physically located within the U.S. when registering for and while participating in the UNSY 520 course. Students must contact their Academic Advisor regarding additional cost, possible travel, and FAA Testing, prior to enrolling in the first course of this concentration, UNSY 515. Those already in possession of an FAA Part 107 Remote Pilot certificate, prior to starting the concentration, may complete ASCI 530, in lieu of UNSY 515 to ensure sufficient credit, research experience, and topical exposure.